When Nintendo announced they were launching an updated original Nintendo system, social media exploded. For people roughly within the ages of 20-50, the sweet nostalgia of 8-bit entertainment from the late 80s and early 90s was strong. Nintendo sold 196,000 units in the United States in the month of November. Essentially that means Nintendo must’ve only made 196,000 NES Classics, because the system was sold out within minutes all across the country. If you didn’t wait in line on launch day or on a rare day in between then and Christmas, you were out of luck. It was always going to be a hot item, but priced at just $60 it was clearly a must-have. Therein lay the problem. When it comes to selling a product, basic economics dictate a need to successfully balance supply and demand. When supply outweighs demand, that item will need to drop in price to reflect its value and result in less revenue. When demand outweighs supply, you risk upset customers and a missed opportunity to have charged more for the product. Nintendo, for some strange reason, decided to only apparently sell a couple hundred thousand units of the hottest Christmas item for just $60. I don’t want to do Nintendo’s job for them and suggest jacking up prices on customers, but they surely could have charged more and still sold out for the holiday season. 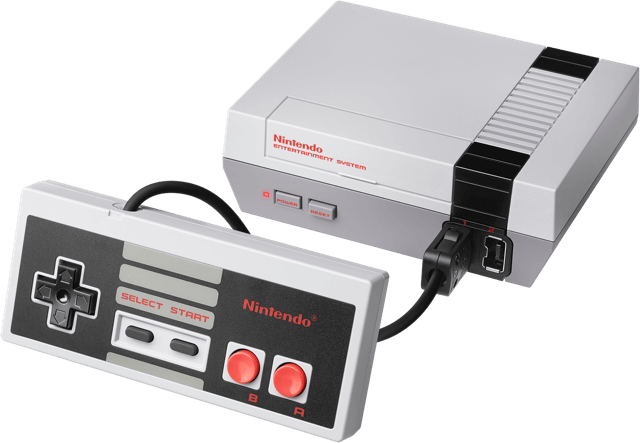 NES Classics are going on the secondary market for over $200. Had Nintendo doubled the price and sold the same 196,000 units, it would have result in an additional $12 million in gross revenue. There is a chance that Nintendo only had the parts to make so many systems and thus couldn’t make any more but that wouldn’t change the fact they could’ve sold the systems at the higher price. And before anyone says it was an example of a company not being greedy, I’m pretty sure if Nintendo knew they could sell the system at the higher amount, they would have done that. They weren’t intentionally selling something below market value out of the kindness of their heart. If it wasn’t an issue with parts, then it’s an issue with Nintendo grossly underestimating demand. That’s the kind of thing that can get people fired, as it could have cost Nintendo millions while disappointing loyal customers. At some point, Nintendo will catch up with demand, and eventually everybody who wants to purchase one will be able to do so. Based on the popularity of the NES Classic, it’s easy to see Nintendo making a Super Nintendo version in the future. Hopefully, they learn from their mistakes.